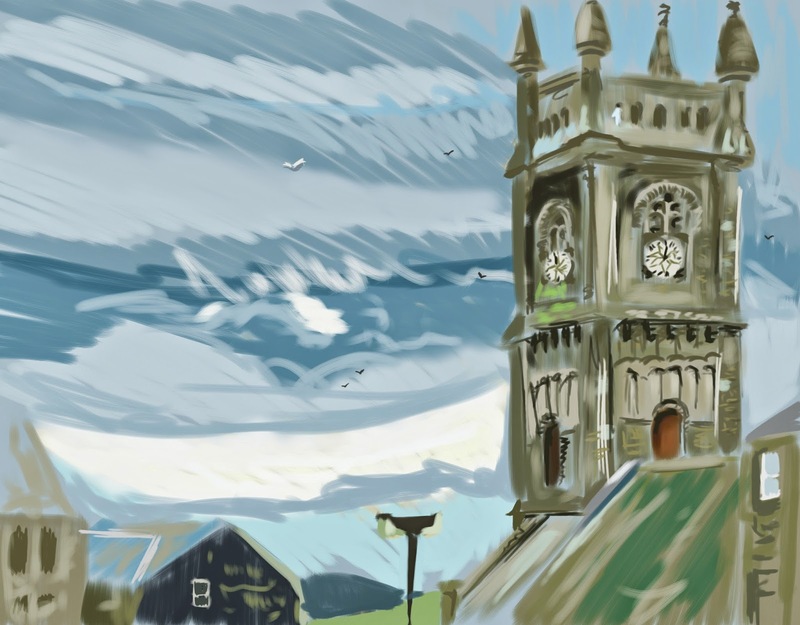 I drew today in the morning i was walking to work and past it on my way so i thought about coming back here to try a painting of the clock tower. I don't really paint a whole lot of landscapes in fact ive only ever donw about 3 in my time. There is a definite need of improvement for example perspective and even trying to identify values in landscapes.